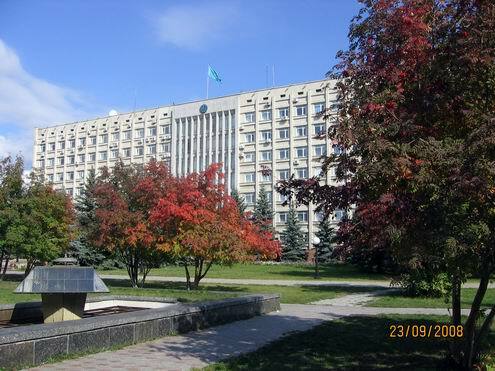 The capital city of North Kazakhstan oblast. 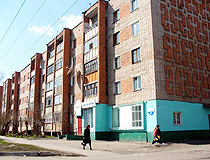 Petropavl population is about 195,000 (2010) on the land area of 222 sq. km. 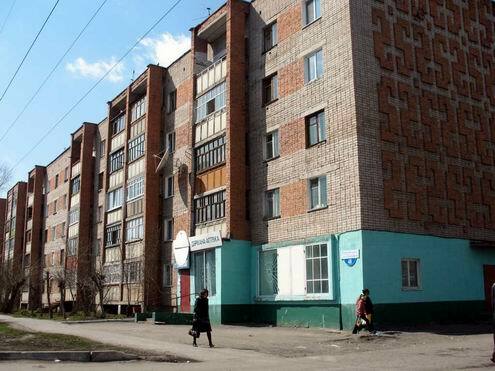 Petropavl phone code - +7 7152; postal codes - 150000-150013. 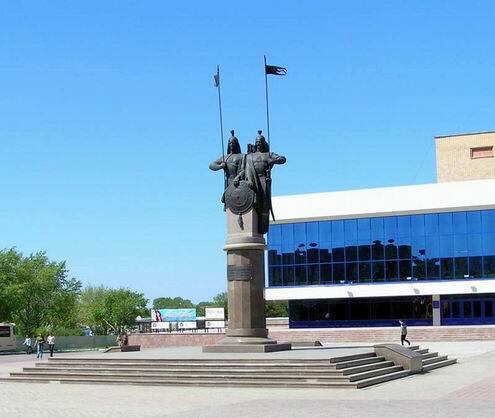 Local time in Petropavl city is April 23, 12:15 am (+6 UTC). 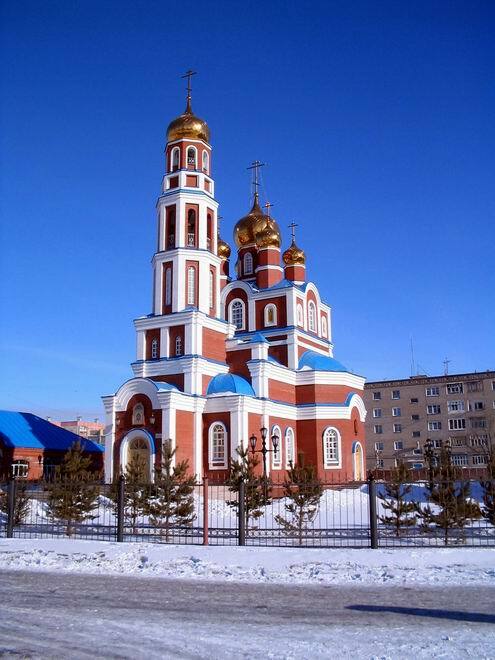 Petropavl is located on the bank of Ishim River, not far from Russian state border, 278 km to the west of Omsk city. The climate of the area is of sharp continental type. Winters are frosty and long (over 5 months), with little snow, summers are hot, with frequent droughty weather. 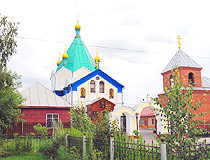 Petropavl (Petropavlovsk) origin of name: city of Peter and Paul, named for the church of Saints Peter and Paul there. 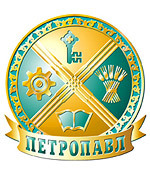 Today Petropavl city has some notable industrial undertakings and accounts for about nine-tenths of the industrial output of the oblast. 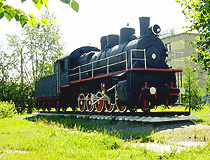 Petropavl city is also important as the junction of Trans-Siberian and Trans-Kazakhstan railroads. 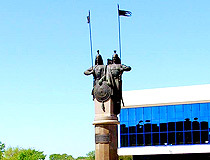 Petropavl is the second oldest oblast center in northern Kazakhstan after Pavlodar. 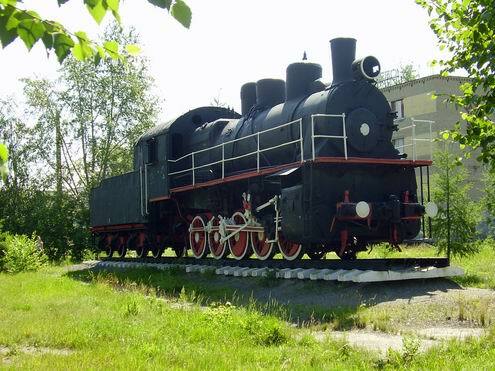 In 1740 Russian government approved the project on creating a new chain of military fortifications 558 km long - from Tobol River to Omsk fortress on Irtysh River. 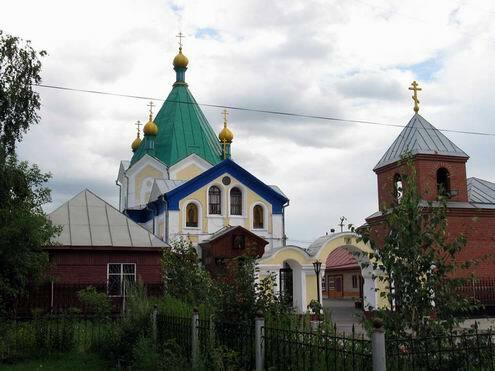 In June 1752 an expedition of almost 2,000 people headed for Ishim River. The expedition was to construct a large St. Peter fortification within a short period of time. Need in bread and forage promoted peasants inhabiting lands around the fortress. Soldiers and dragoons also had the right to build their own houses outside the fortress. Like other fortifications in Siberia St. Peter’s fortress was strengthening its military importance. Merchants class was growing as the fortress was becoming a large political and economic center of the region. It was there that trade ways from Russia and Middle Asia came together. 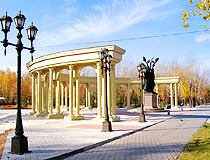 In 1807 the fortification was renamed into Petropavlovsk town. 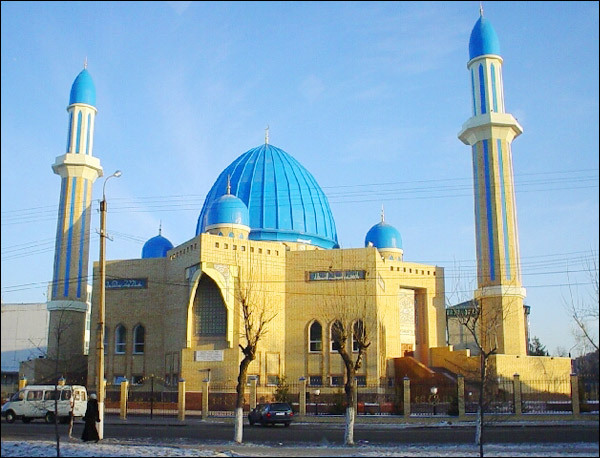 In 19th century the town still preserving its military importance turned into large center of trade and economic as well as spiritual ties among Kirghiz (Kazakh) and Russian people. 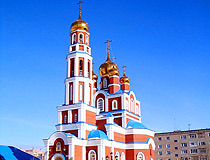 Development of the town was favored by migration of peasants from European Russia and the construction of Siberian railway. 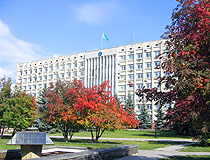 Since 1936 Petropavlovsk has been the regional center of North Kazakhstan oblast of Kazakh SSR and since 1991 of Kazakhstan Republic. 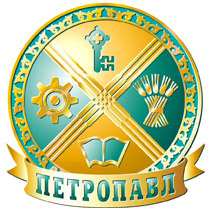 Petropavl is the main producer of railway carriages in Kazakhstan; the plant producing complicated boring and special equipment for oil extracting companies - the only plant in Kazakhstan. Food industry is also developed. 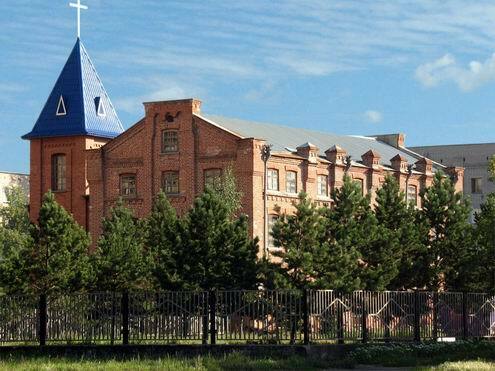 In 2009 new plants were opened: a plant of fast-constructed buildings; Petropavlovsk pipe plant; Petropavlovsk plant of construction materials. 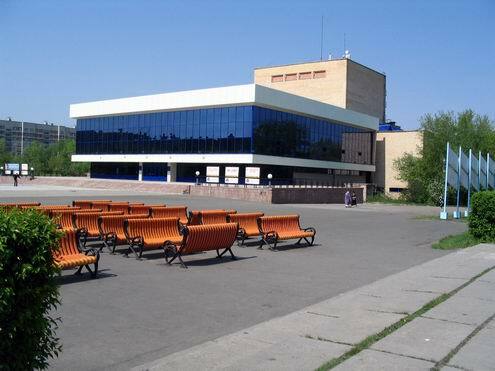 Kazakh theater of music and drama named after S.Mukanov performs in Kazakh language in Petropavl city. Russian-speaking spectators are given headphones which are plugged in the arm of the chair. Thanks to it the spectator is able to understand the speech of Kazakh-speaking actors. 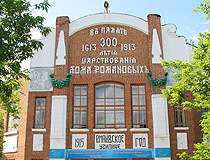 The theater is located in Zhabayev Str., 195. 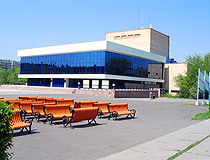 Regional puppet theater is opened since February 1991. 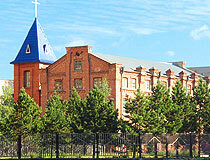 It is located in Vassilyev str., 69. 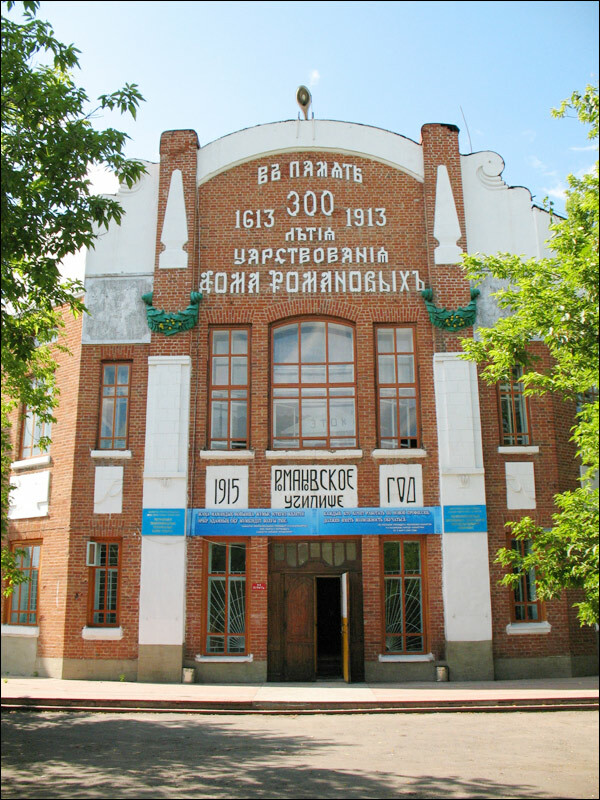 North Kazakhstan Russian drama theater named after N.Pogodin is also located in the city. Performances are given for children (in the morning) and grown-ups (in the evening). 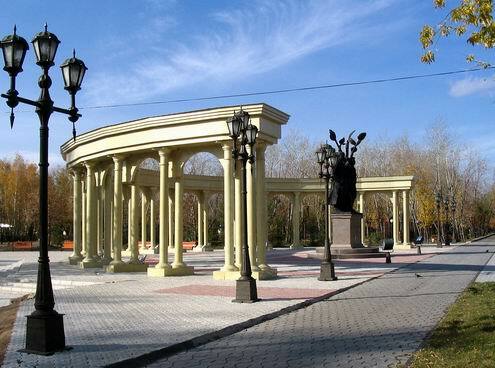 It is located in the Kazakhstan Constitution Str., 1. Regional museum of history and local study was opened in 1924. In the museum hall there is a map of the oblast hanging on the whole wall. One can see ancient and modern items in the museum. Flora and fauna of North Kazakhstan oblast is rather well represented on the first floor through stuffed animals in the background of their natural environment. 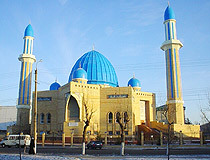 There are military items, a jurt and Kazakh national clothes. 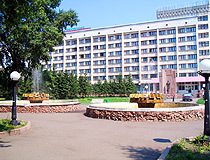 North Kazakhstan regional arts museum was opened in 1989 in Petropavl city. There are permanent exhibits there, sometimes they held exhibitions. 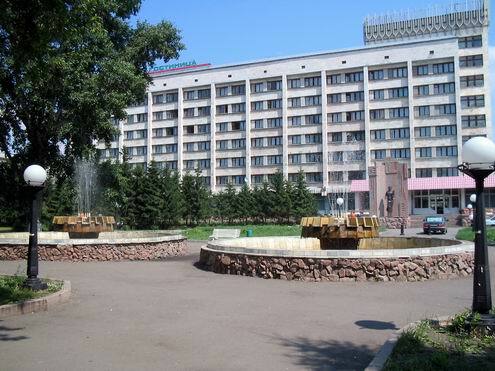 For example, artist Krestnikov exhibition, or children’s drawings.